If you’ve been following prominent personalities doing Senegal proud in the diaspora, the chances are that you must have come across Georges Niang. One of basketball’s famous players, the athlete launched his professional career in 2006 and has won himself a slew of accolades as well as special recognition for his efforts in his team and contributions to the game. Niang’s career highlights and awards, as detailed on his profile, First-team All NBA G League (2018), Karl Malone Award (2016), Big 12 Tournament MVP (2015), Third-team All-American – AP, NABC (2015), Third-team All-Big 12 (2014), Consensus second-team All-American (2016), 2× First-team All-Big 12 (2015, 2016), and Big 12 All-Rookie team (2013). Keep reading to find out more about the American-Senegalese athlete. 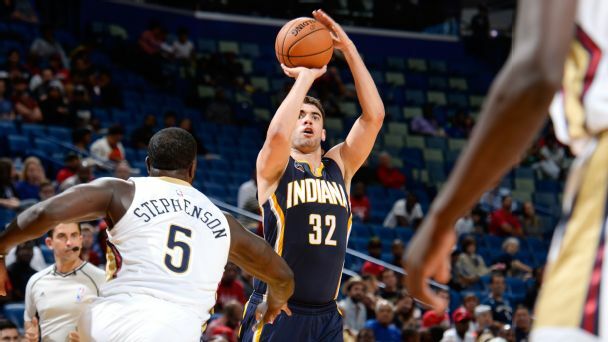 Georges Niang is a skillful athlete who plays the forward position for Utah Jazz basketball team of the National Basketball Association (NBA). His parents welcomed him into the world on 17th June 1993 and his place of birth is Lawrence, Massachusetts, in the United States of America. Georges is an American by nationality and has African roots; he is of Senegalese descent. The Utah Jazz basketball player attended the Tilton-based high school, The Tilton School, where he broke the record for gaining a school-record 2,372 points, rising to become one of the greatest players the school has ever produced. As a junior, he averaged 8.2 rebounds and 24.2 points and also averaged 7.2 rebounds, 25.1, 2.1 assists per game in his senior year. While his stint with Tilton lasted, Georges emerged the 2012 NEPSAC Class AA Player of the Year, he was named to First-Team All-NEPSAC Class AA pick thrice, and also helped his team to win the game against St. Mark’s at the 2011 NEPSAC Class AA championship. For his effort and performance at the championship, he emerged the outstanding player of the tournament, having scored 23 points on 11-of-11 shooting from the field. Georges Niang has also represented the Boston-based BABC AAU team in a basketball league. Along with Nerlens Noel, who was his high school and (Athletic Amateur Union Tournament) AAU teammate, the Utah Jazz player won one Nike EYBL title, four NEPSAC titles, one AAU national championship, and one national prep championship. Georges ended his career on an impressive note as he was rated one of the best players on the East Coast and as a consensus national top-100 recruit. He was also ranked No. 69 by Scout.com, No. 42 by Lindy’s, No. 69 by Rivals.com, No. 56 by ESPNU, No. 81 by CBS Sports, and No. 73 by Sporting News. The basketball center player received offers from schools such as Seton Hall, Texas A&M, Providence, and Iowa. He eventually committed to Iowa State and played for the university’s basketball team from 2012 to 2016, recording massive achievements, including the first two-time All-American, the first player to reach four-straight NCAA tournaments, the career leader in most wins (98) and games played (138). Upon graduating from college in 2016, Niang entered the NBA Draft in the same year. He was then selected as the 50th overall in the second round of the 2016 NBA Draft by Indiana Pacers on June 23 but was waived by the Pacers on July 14, 2017. His next stop was at the Golden State Warriors, which signed him on August 16, 2017. However, his stint with the Warriors didn’t last for a long time as he was officially waived by the team on October 14, 2017, which led the Santa Cruz Warriors to sign him as an affiliate player. George Niang continued to grow his game in the league, amassing more fans than many imagined. 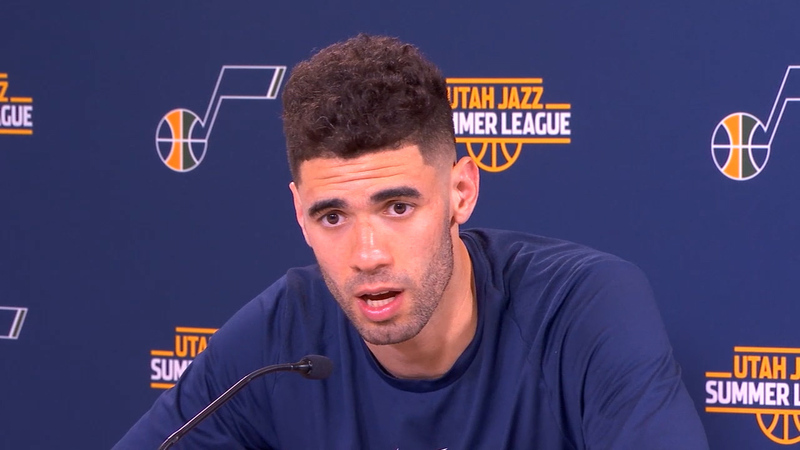 He later signed a two-year contract on January 14, 2018, with the Utah Jazz, which allotted Naz Mitrou-Long’s position to him. Throughout the rest of the season, Niang kept splitting his court time between the Utah Jazz and the Salt Lake City Stars, which is Utah’s NBA G League affiliate. George extended his stay with the Jazz to three more years on July 13, 2018. It appears Georges is the only child of his parents, as there is no record of his dad and mom having other children. The Utah Jazz star is the son of Alison Niang (mother) and Sidy Niang (father). Sidy is an African man born and raised in Senegal. He is presumed to have moved to the U.S before the arrival of his only child. Obviously not the tallest player in the NBA but Niang’s height of 6 feet 6 inches (1.98 meters) and weight of 105 kilograms (231 lb) have never posed a challenge to his fast-growing career. As of 2016, Georges Niang’s salary is $650,000. Following his three-year deal with the Utah Jazz, the basketball player is expected to take home an annual average salary of $1,647,172. His contract with his current basketball team reportedly worths $4,941,515 and has $1,512,601 guaranteed attached to it.